UNITED NATIONS, New York — The Government of Canada will contribute Can$15 million (US$13.2 million) to support efforts by UNFPA, the United Nations Population Fund, and partners to fight sexual and gender-based violence in the Democratic Republic of the Congo (DRC). The new contribution, announced by the Canadian Minister of International Cooperation, Josée Verner, yesterday, is expected to directly help thousands of victims of sexual assault in the country. 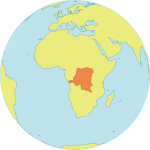 One of the 50 least developed countries in the world, the DRC witnesses sexual and gender-based violence on a large scale as a consequence of the civil war and recurrent conflicts. It is estimated that hundreds of thousands of people have been affected. In 2003, UNFPA and other actors launched an initiative to address the country’s problem of sexual and gender-based violence. In addition to working on preventing this kind of violence, UNFPA and its partners provide victims with medical and health care, psychological support, economic reintegration, and legal assistance. The efforts also aim to raise awareness among leaders of the gravity of the situation. Canada has long been among the main supporters of UNFPA, contributing more than US$17.5 million to the Fund’s regular and other resources in 2005. Its latest contribution to UNFPA will be spread over a period of four years. UNFPA, the United Nations Population Fund is an international development agency that promotes the right of every woman, man and child to enjoy a life of health and equal opportunity. UNFPA supports countries in using population data for policies and programmes to reduce poverty and to ensure that every pregnancy is wanted, every birth is safe, every young person is free of HIV/AIDS, and every girl and woman is treated with dignity and respect.